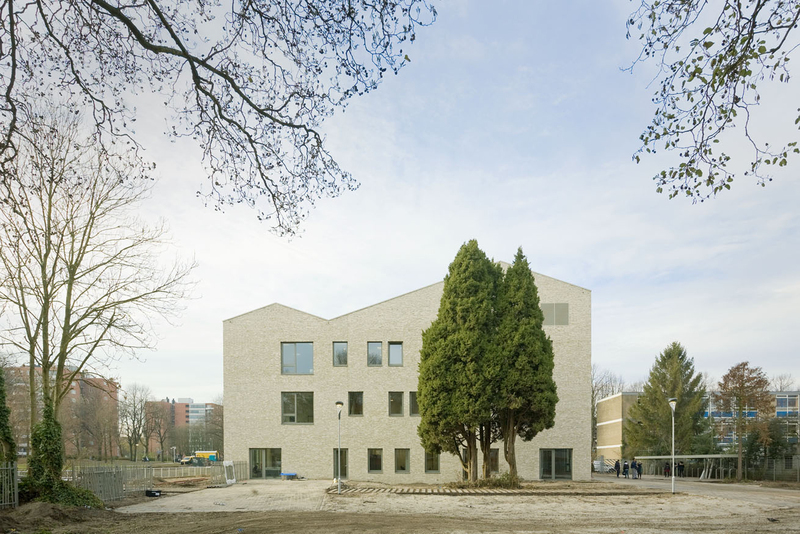 VSO De Heldring West School, Amsterdam Nieuw West was completed at the very end of 2016. 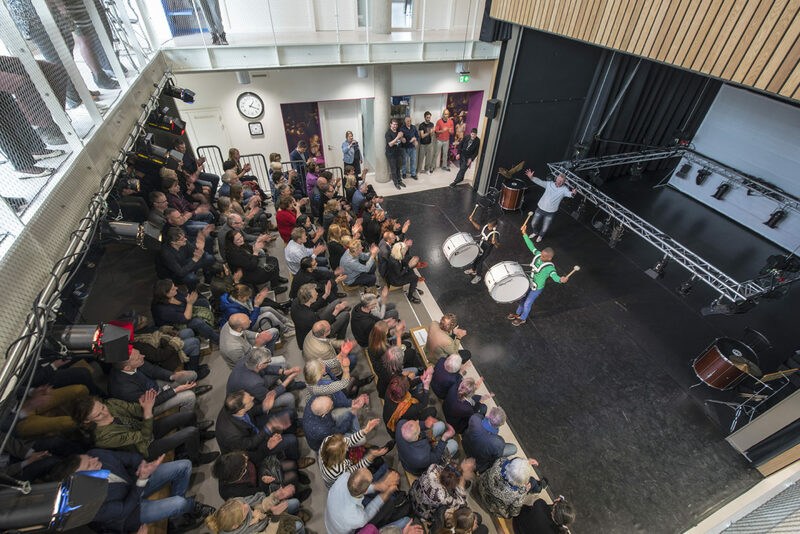 High level theatre performance is at the heart of the schools creative and educational activities. This was the driving force of our design. 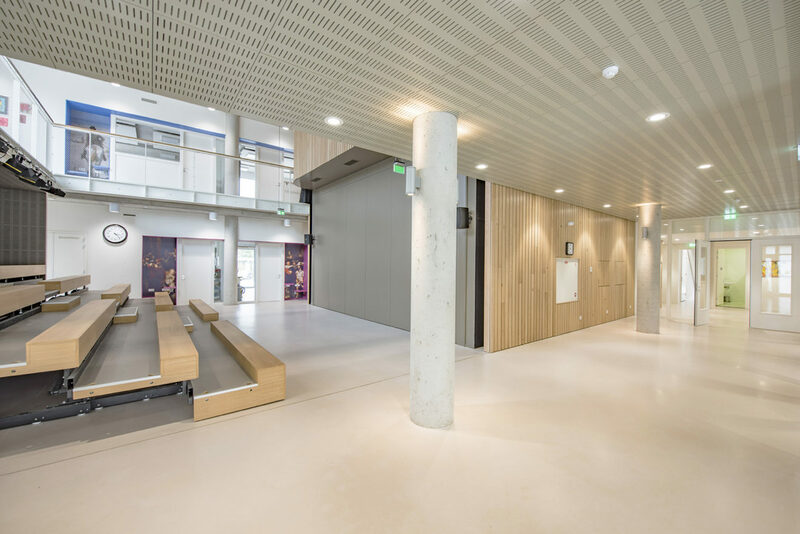 The building comprises 14 classrooms, a gym, facilities for vocational training, a training kitchen, various therapy spaces, and a blacked out theatre rehearsal space. 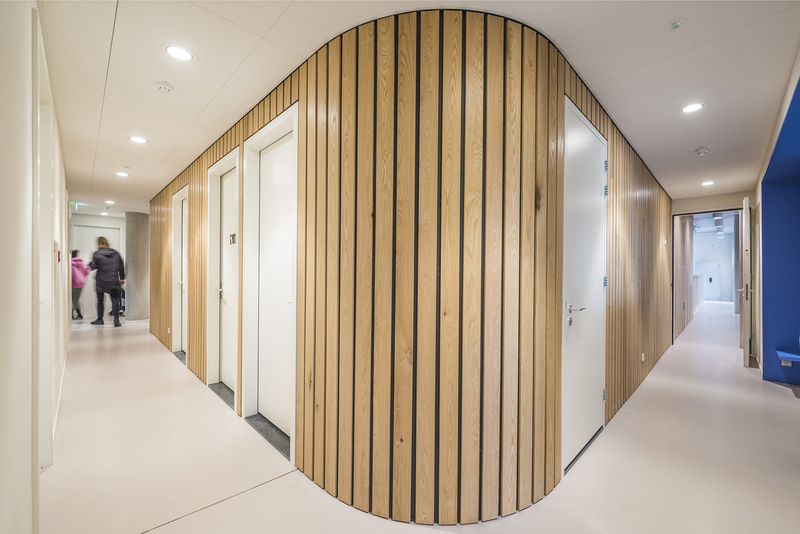 The central aula of the school transforms into a theatre performance space with retractable seating, theatre curtains and lighting control booth. Performances for the public are held every year. 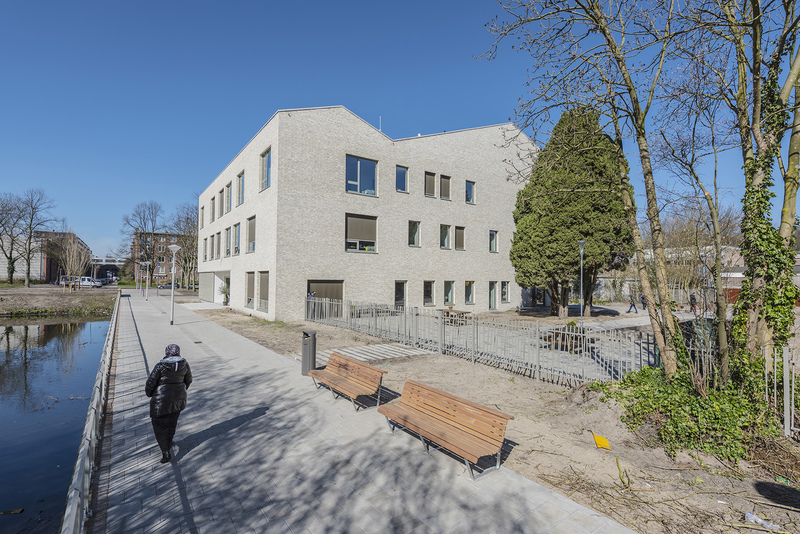 The school is orientated to maximise interaction with the daily passing public. School students will operate a training café that faces a reinstated public footpath that runs along the waters edge at one boudary to the site.